We welcome back our resident wordsmith, Huw Harrow as he brings us a combo sized rugby roundup of action from Week 1 & 2. With news of clubs being forced to leave the circuit a common theme in recent seasons, the arrival of Barrelhouse on the scene is a reason to be cheerful. This weekend marked the club’s competitive UAE XVs debut, and they announced themselves in some style with a 56-10 win over Dubai Tigers 2s. A performance built around old-fashioned forward dominance overwhelmed their visitors at Jebel Ali, in what was also a landmark fixture for the Tigers as their first competitive outing for their second string. Nonetheless a result that will make the established order in the Community league sit up and take notice. Bahrain have been the big winners over the first two weeks of Premiership action and are the only side to maintain an unbeaten record after opening the season with an impressive away victory over Abu Dhabi Harlequins and seeing off the DSC Eagles this weekend. The Eagles look set to face a challenging second season in the top flight having been edged out 13-20 on home soil by Dubai Hurricanes in their season opener, a match that on paper they would have targeted for a victory. In the clash of last season’s West Asia and UAE Champions, Jebel Ali Dragons were winners over Dubai Exiles, only for the Dragons to be in turned down on home turf against a resurgent Harlequins by a surprising scoreline of 22-46. Early indications suggest this promises to be an intriguing season. The UAE Conference starts off split into two groups this year (read our season preview for more) and early standings offer a very different picture in each group. Group A, featuring Premiership 2s outfits has both Hurricanes and Dragons two from two, with Harlequins, Eagles and Exiles yet to record a competitive win. Meanwhile in Group B there is nothing to choose between the Dubai Tigers, Abu Dhabi Saracens, Dubai Sharks and Al Ain Amblers with all having registered one win apiece. Holders Tigers began their defence with a hard fought 27-17 win over Saracens. The UAE Community league also got underway this weekend and aside from Barrelhouse’s eye catching result, there were also big wins for Amblers 2s and Dragons 3s over Sharks 2s and Shaheen respectively. It is good to see the Shaheen back in action and despite a heavy opening defeat against last season’s beaten finalists, they will hope for better fortune in weeks to come. The tie of the round was played out at Zayed Sports City with reigning champions Harlequins 3s pushed all the way by RAK in recording a 31-26 win. Yalla Rugby are delighted to announce that we have been selected as the official media and results partner for Gulf Rugby for the 2018/19 season. 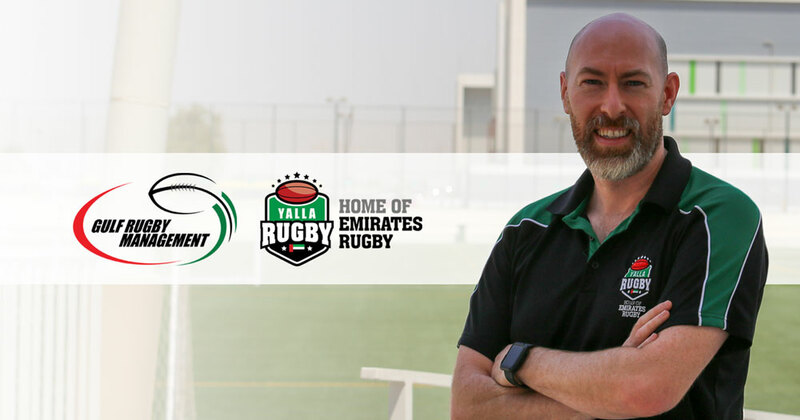 Gulf Rugby Management is a new organisation that is part of Emirates Airline – responsible for managing all competitive Mens, Women’s, Schools and Mini & Youth competitions in the UAE. 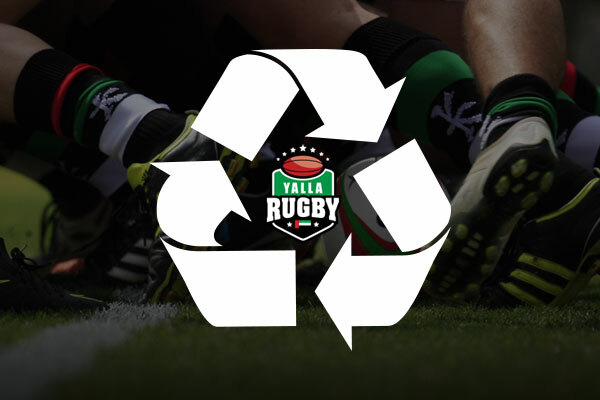 Operating out of The Sevens Stadium the Gulf Rugby Management team have been looking at ways to manage the publication of results, choosing Yalla Rugby as the obvious choice to be the official media partner. 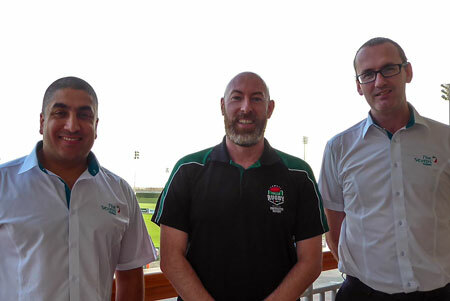 Under the new partnership, Gulf Rugby Management and Yalla Rugby will be hoping to increase the already huge interest in rugby union here in the UAE. “It was clear from our early conversations with Alex that his commitment and dedication to providing a first class service on the reporting of results and coverage of UAE rugby matches was just what we wanted. We are delighted to be working with him to help get timely publication of results and fixtures, including all Mini & Youth fixtures’. It is sure to be a busy season again for rugby in the UAE and the Gulf. 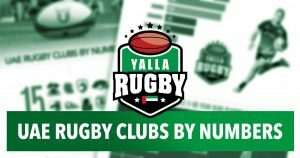 For all the latest news and results don’t forget to follow Yalla Rugby and check in every Friday night for the first look at the weekend results and every Sunday for confirmed results and table standings. Referee Jaco de Wit talks Sushi, Golf and the Big C with us. Life is busy, but Dubai is such a great place and full of opportunities. What’s the best thing about being a UAE referee? The best thing is being part of improving UAE rugby as a whole and the Dubai 7s is always a special occasion for me. Apparently nomophobia (being without my mobile). I love playing golf and playing on Fifa. Who’d you like to be stuck in a lift with? Any international prop… let’s talk scrum time!! Yeah, I get Jakes a lot. What’s your favourite type of food? Bring me Salmon Sashimi… I could have Sushi everyday. 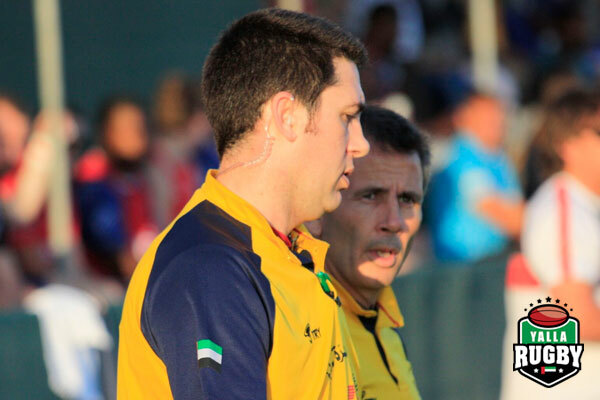 If you could be one of the other UAERF referees, who would it be and why? Norman Drake, keeping up with play and his holiday diet… now that’s impressive! What would you like to achieve outside of rugby? I’d like to be successful in whatever I do and along the way hopefully inspire people to be the best that they can be. I’m not too bad at hitting little white balls with an iron stick. What was the last brunch you went on? Caramel’s Saturday Brunch. Good wine and the food was not too bad! I really miss the farm that I grew up on and Karoo lamb chops. Who would be your three dream dinner guests? Tiger Woods, he can tell me all about comebacks. Cristiano Ronaldo, he can share his knowledge of hard work and Jessica Alba, because you have to have some beauty at the table. Cheers, Jaco. Jaco de Wit is a cancer survivor which unfortunately ended his playing days. “I obviously had a love for rugby and picking up the whistle was the perfect way of being part of this amazing sport”. Jaco is one of the UAE Rugby Referees and earlier this year he represented the UAE on the global stage at the Singapore 7s! 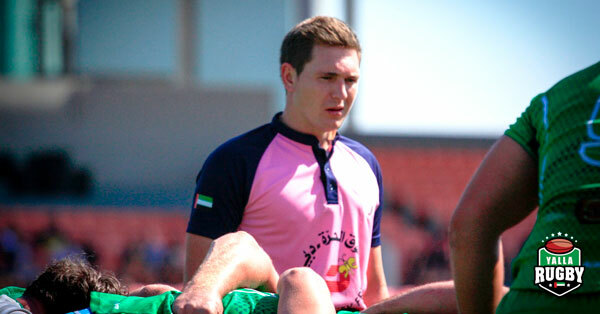 If you would like to become a UAE rugby ref, then click the button below. 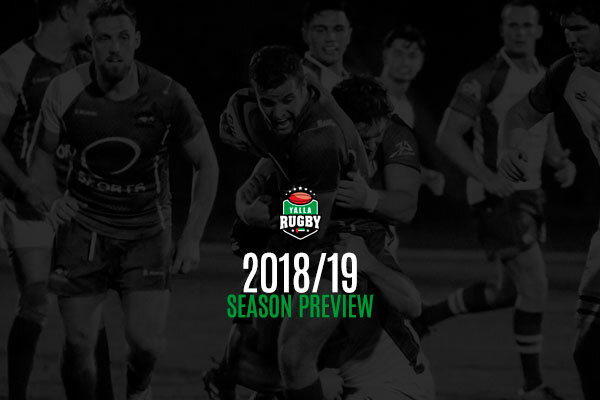 The start of the 2018/19 Gulf Rugby season is now upon us and with pre-season in full swing at most of the nation’s rugby clubs, it’s time to look ahead at the action in store for us and see how all of the domestic league competitions are shaping up. The summer has not been without its usual period of change as clubs come to terms with the usual spate of player arrivals and departures. Here’s what we know about how things will line up this season. Format: A straight league set up with all sides playing each other home and away over three rounds (Home, Away, Home). The champions of the West Asia Premiership will be decided between the top four teams after all league rounds are complete via playoff semi finals and final. Likewise, the top four UAE based outfits (discarding results against Bahrain) will have a semi final playoff to see who will play on finals day for the right to be crowned UAE Premiership Champions. 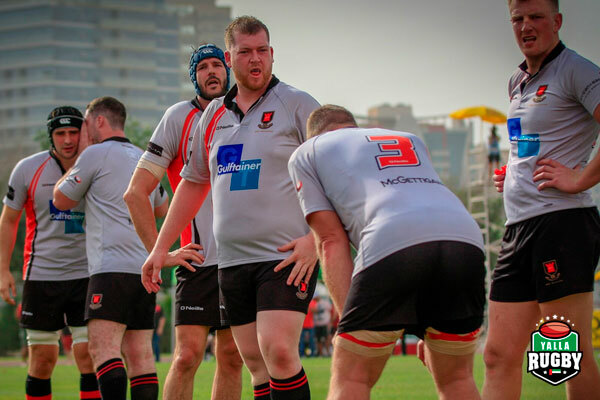 Ins and Outs: After a difficult season which saw them finish bottom of the pile with only one win, Abu Dhabi Saracens have decided to be relegated to the Conference league this year as they embark on a rebuilding phase. Format: Pay attention because things are about to get a little complicated in the second tier of Gulf rugby! The ten UAE Conference sides have been split into two groups who will each play home and away fixtures during the first half of the season. Group A are formed of all UAE Premiership represented clubs and Group B are all other UAE rugby clubs. They will all fall under one league table this year with no split league as seen in previous years. Part two of the season will see the sides face opposition from outside their group but only once. Points earned are added to their initial group totals. The season then culminates with the top two sides from each group entering the knockout stages with the Conference final scheduled for the end of March 2019. Ins and Outs: The Conference league was dealt a blow this week with the withdrawal of last season’s runners up and one of the UAE’s oldest rugby clubs, Sharjah Wanderers, citing lack of numbers. 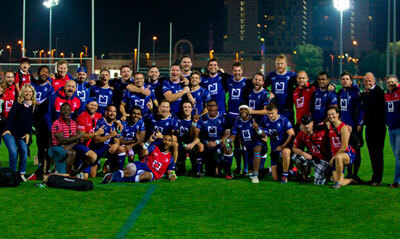 They will be replaced by the Dubai Eagles 2s who played their first season of Community rugby last year. 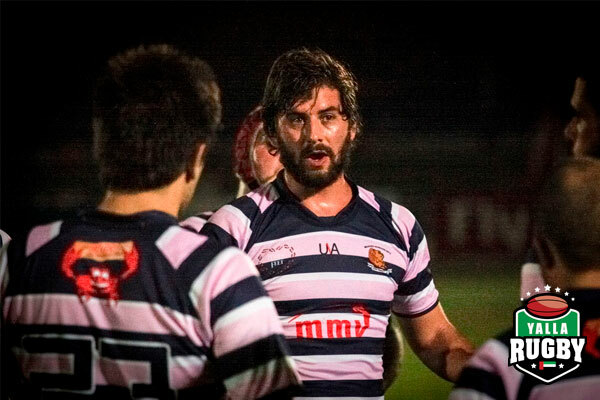 Abu Dhabi Saracens 1s have dropped down from the UAE and will only field one team this season. Format: An initial league stage with each side playing each other once, aiming to secure a top two finish and a place at finals day where the champions will be decided. 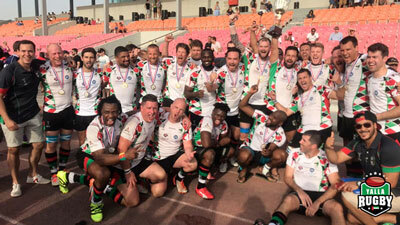 Ins and Outs: Unsurprisingly for a league that fluctuated in size over the course of last season, the UAE Community rugby competition has seen its fair share of off-season activity. Barrelhouse, a club that is well established on the 7s circuit, make a welcome league debut whilst the Shaheen have also signalled an intent to return to the competition this year. Dubai Tigers’ expanding squad size sees them enter a 2s team for the first time. The Dubai Hurricanes will not field a 3rd team this year so will not participate in Community rugby. Disappointment comes in the shape of the Beaver Nomads, traditionally a team to beat at Community level, being forced to withdraw from this year’s competition. Format: We’ll be doing a dedicated Womens Rugby article closer to their first set of fixtures (5th October), but to give you an idea of what to expect this season, there will be eight rounds of rugby where we’ll see Sevens rugby played at Harlequins, Hurricanes, Amblers, Saracens, Sharjah, Tigers and finally Eagles. This season, there will be an invitational 15-a-side match held on finals day at The Sevens Stadium, alongside the other mens rugby Premiership, Conference and Community league finals which will be held on the 29th March 2019 which should bring the close to the season to an exciting climax this year with all levels featured on the final day. This season we will hopefully see the Mini and Youth Rugby results and league tables featured for the first time on the website. We’re really looking forward to bringing you as much of the rugby action as possible here in the Middle East, so be sure to check back on a weekly basis. 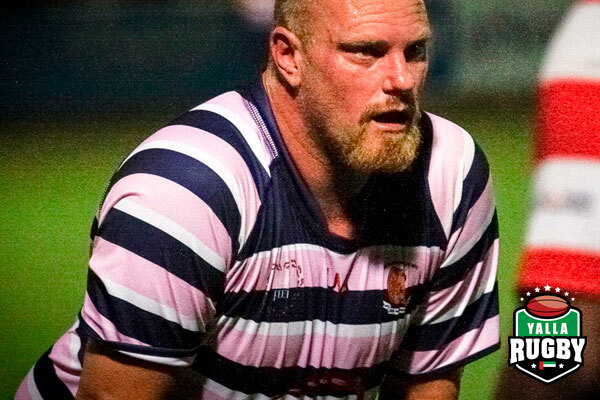 What’s been your proudest moment playing rugby in Dubai? Winning every tournament in the season when I played touch U15’s rugby for the Dubai Exiles. In my spare time I like to see friends, go to the beach and do some Wakeboarding and hit the gym. What’s the funniest thing you’ve seen or heard on a rugby pitch? When we trained with the Black Ferns (All Blacks Ladies 7s team) rugby squad before last years Dubai 7s, they lifted our players onto their shoulders for photos, it was really cool! Crunching! I hate hearing people eat, especially crisps. I’d love to be able to fly, so I could beat all the traffic! If you could be one of your team-mates, who would it be? It would be Sami Dronfield. She’s an all round amazing player. Skilful, fast powerful, strong and talented! To graduate, get a degree and to travel the world! Yes, I can fold my tongue into 3. Most people curl their tongue at the front but I can do the sides as well! Mum and Dad usually but my brothers and I enjoy cooking too, especially sushi. Family mainly, but I don’t miss that much as I was born here so I see Dubai as my home. Who’s the best dancer in the Exiles team. Sophie Millward, she’s got all the moves. What are the best things about playing for the Exiles? The best thing about being a member of the Exiles RFC is the social events that happen throughout the year and everyone gets on well with each other. It’s fun and not too serious. Concussion Baseline Testing – WHY? Ok, so it’s the start of the new rugby season here in the UAE. That means bodies are ready for some hi impact cuddles and the inevitable knock to the head! 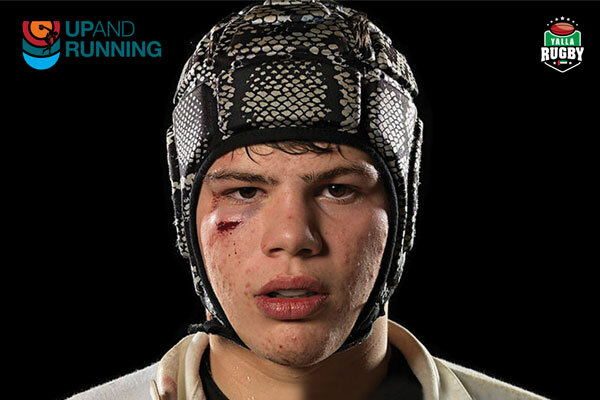 Concussion remains a condition that in many cases continues to go undetected. 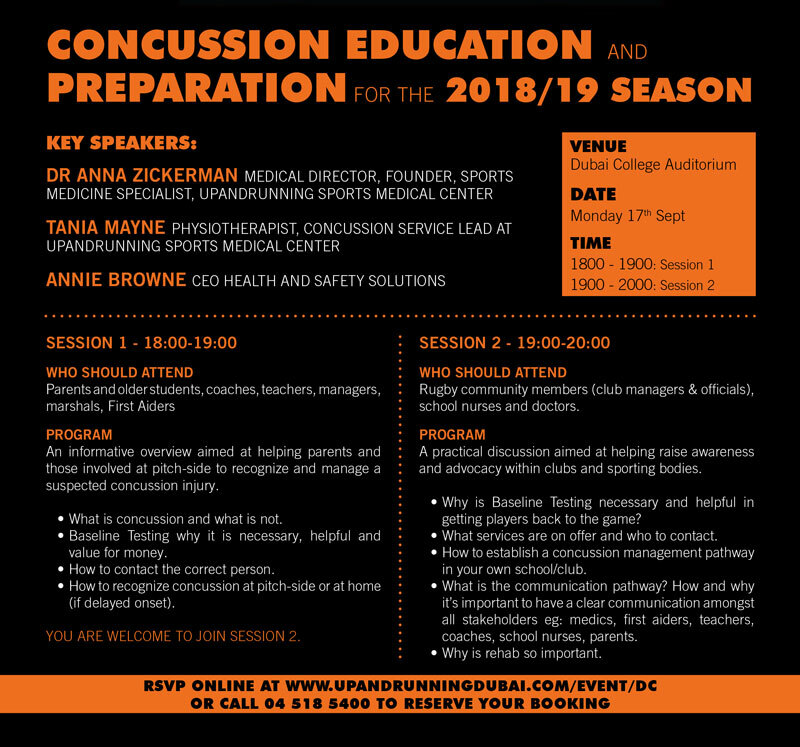 Join us on the 17th September at Dubai College for an important FREE educational talk on managing concussion in young players. This talk is a must-attend event for Parents, Coaches, First-Aiders or anyone involved in a sport where there is a risk of Concussion. Be sure to sign up early as seats are limited. With a quick search on Google, the pros to why you should get a Baseline Test for Rugby makes for interesting reading. If the Baseline Test is done, it helps healthcare professionals make comparisons to your own Baseline to guide them through post injury management and safe return to sport. So, have you been affected by a concussion? Are you aware of the recovery process? How about you come along to an education Event at Dubai College on Monday night 17 September from 18:00-20:00 and find out how you can get a baseline test. It will be split into two sessions, each 1 hour long. Even if you attend just to have an enlightening conversation with everyone and ensure that all athletes are well prepared for a safe rugby season! https://www.yallarugby.com/wp-content/uploads/2018/09/concussion-management-in-rugby.jpg 400 600 Yalla Rugby https://www.yallarugby.com/wp-content/uploads/2018/10/yalla-rugby-dubai-uae-2019.png Yalla Rugby2018-09-13 08:45:112018-09-13 08:48:00Concussion Baseline Testing - WHY? 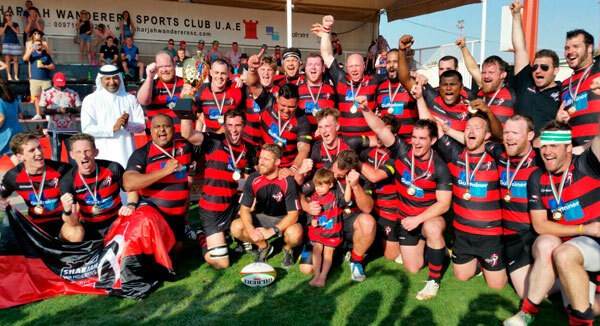 The 2015/16 UAE Conference winners, Sharjah Wanderers will not be playing Expat Conference rugby this season. In a statement made on social media by the rugby club, they have announced that their men’s 1st XV squad will not be putting a team together this season. The Wanderers are not alone in their struggle this pre season as we have also witnessed the likes of Saracens dropping from the Premiership and the Beaver Nomads withdrawing from Community level rugby. They have assured us though that they will be back next season (2019/20) and will be participating in this years Emirates Airlines Dubai Rugby Sevens competition which will be held at The Sevens Stadium on the 29th November. We’d like to take this opportunity to wish the Wanderers all the best in their comeback and feel they will be a miss in local rugby this year. https://www.yallarugby.com/wp-content/uploads/2018/09/sharjah-wanderers-withdraw-from-expat-rugby-conference-league.jpg 400 600 Yalla Rugby https://www.yallarugby.com/wp-content/uploads/2018/10/yalla-rugby-dubai-uae-2019.png Yalla Rugby2018-09-12 15:18:282018-09-12 22:33:14"The Wanderer's (WON'T) Return"
I have many… Shorty, Fatty, and Belgie seem to be the most frequent ones used in the changing room! Coaching kids’ rugby, cycling, and spending time with my boy, which is the best thing in the world. I’d love to be able to read people’s minds! I can cook up a pretty good dinner! Who has the worst dress sense at the Dubai Sharks? Probably Dan Griffiths, just to see how life is as a short, fat, angry bloke. Easy. Me. I’m the best at cooking in the house. The forests and the lakes around where I live, the incredible Belgian food, and obviously, my family. Barack Obama, Sandra Bullock and Sebastian Chabal. Life in Dubai is great! Rugby plays a big part in making life so good here! I’ve made lots of great friendships over the past 13 years that I’ve spent here too. One team leading the charge are Al Ain Amblers Ladies, who stormed to a B League title in early March following an emphatic win over Dubai Eagles Ladies and now enter the new season with a brand new sponsorship deal from Audi UAE. Women’s rugby is one of Al Ain Rugby Club’s fastest-growing sports, with over 30 women starting the season this year, twice as many as in 2016 and a thriving girls’ mini/youth rugby section. The Amblers ladies wishes the best of luck to all the women’s rugby teams participating in the Women’s Gulf Leagues this season and looks forward to another year of promoting women’s rugby in the UAE. Not really one specifically but I do get called a few different things like; Maximus, Maxibon, Ant McPartlin. Usually picking things up and putting them down again, though I do like to get out skating and paddle boarding. Looking at my Emirates NBD messages after a session. Teleportation for sure. Instant global travel and swift Barasti Beach Bar exits. No guilty pleasures, if they’re not guilty. Opening a bottle with pretty much anything. Who’s the best dancer in the Canes squad? Josh Elliott. The man’s a weapon on the dance floor. Who’s in charge of the team music? Weissenborn usually. It could probably do with a shift change though! Tightest? Definitely not Liam Stead, get him drunk and he’ll pay for your night for you. Cheers pal. What are the best things about the being part of the Dubai Hurricanes? They’re a sound group of lads to be around, but most important of all…..custom budgy smugglers. Dubai’s great. It has so much to offer in such a beautiful part of the world. I’ve thoroughly enjoyed my time here in the UAE so far. The only downside I would have to say, is living on the surface of Mars for 6 months of the year. With a surname that you couldn’t have made up with the profession he’s in, Max is a personal trainer at Embody Fitness, Dubai. He sometimes graces the web pages of Yalla Rugby with his training articles guiding us in the right direction to the sacred six pack journey that we all seek. You can often see him taking dodgy photos of his heath food too. Thanks Max! The Al Ain Amblers have a new head coach in South African expat – Wihan Grobler. The fitness instructor from Cape Town is very excited about the 2018-2019 season. “At Al Ain Amblers, it’s not just a game, we’re brothers coming together to prepare”. Grobler has been involved in coaching and physical conditioning for years in his hometown and played an active role for the Amblers in the Conference League last year after moving to the UAE. Director of Rugby at the Amblers, Rocco De Bruyn said; “I am very pleased and happy with his vision and positivity for the season ahead. The boys seemed to buy into his plans and our first week of training showed their keenness to learn and apply his plan of action. Supporting Grobler will be Sean Emmett, George Taunga and Jakes Terblanche who will form the rest of the men’s rugby coaching panel at the club. The Amblers finished in the Bottom 4 of the UAE Conference League last season and went on to win the B5 final against Jebel Ali Dragons, beating them 24 points to 16. 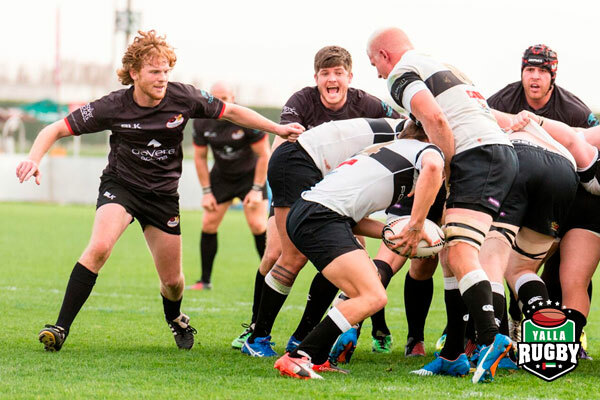 It was only at the beginning of the 2017/18 season that they took the decision to withdraw their 1st XV from UAE Premiership rugby, which forced them to regroup and refocus in the Conference league. In a very similar move to that of the Amblers, the Abu Dhabi Saracens were recently forced to withdraw their 1st XV from top flight expat rugby. Over the summer there have been some player movements from various clubs. Below is the list of who’s in and who’s out. 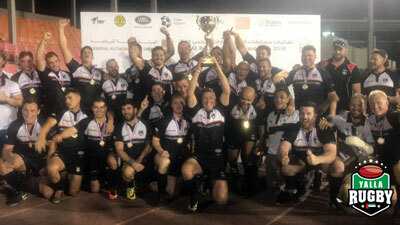 Current UAE Expat Rugby Conference winners Dubai Tigers appear to have scooped the majority of the summer transfers with 6 newcomers, followed by the Dubai Eagles who will be looking to bolster their squad for their second season of UAE Rugby following their debut last season finishing 5th place in the UAE Premiership. The most notable figures are the Jebel Ali Dragons who have had 5 players leave over the summer. The UAERF summer transfer window is from 1st June – 31st July but has had a temporary extension until 15th August. 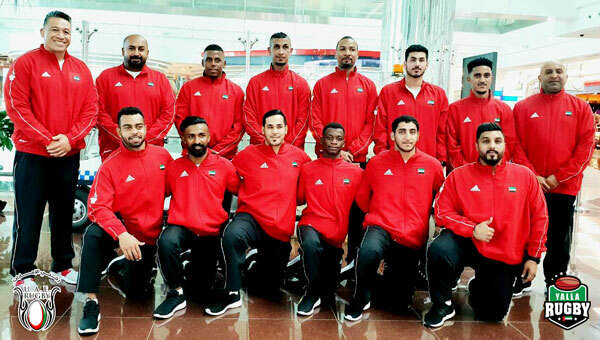 Apollo Perelini’s UAE 7’s squad set off this morning to compete in the Asian Games competition also known as Jakarta-Palembang 2018, which is a pan-Asian multi-sport event being held from 18 August to 2 September 2018 in the Indonesian cities of Jakarta and Palembang which is hosting the Games for the first time since 1962. The all Emirati squad will be hoping to follow in the footsteps of the National Sevens squad that made their rugby sevens debut at the Queenstown Stadium in Singapore for the Asia Rugby Sevens Trophy 2018 which saw the expat featured squad beat the two best sides at the tournament (apart from themselves) – the hosts and Thailand – to become champions in the second tier of sevens. The Asian games will be kicking off on the 30th August where Perelini’s squad will hopefully progress to the knockout stages of the competition. They will be competing their pool games against the likes of Korea, Sri Lanka and Afghanistan and will be looking to get their first game off to a good start against a strong Sri Lanka squad. Favourites to win the Rugby Sevens at the Asian Games 2018 will be Japan who will be looking to impress before the Nations 15’s Rugby Union side compete in next years 2019 Rugby World Cup. In a month that has already witnessed one casualty for the new 2018/19 rugby season with Beaver Nomads withdrawal from competitive rugby, it now appears that the Abu Dhabi Saracens rugby club will be withdrawing from Premiership rugby for the forthcoming UAE rugby season. After what looked like a promising pre season start to their 2018/19 rugby campaign, the Abu Dhabi based club will only field one team this coming season. The 2014/15 Gulf Champions will only be entering this years’ UAE Expat Conference League citing the current economic climate within the UAE and a drop in player numbers as a deciding factor. In a statement received from the Saracens, the Committee have decided to endorse a plan to continue rebuilding their foundations. This plan revolves around providing the best opportunities for the players to enjoy their rugby, to still compete at a good level and see more successes from their hard work. “We are revitalised as never before”, added Director of Rugby Peter Henderson. “The knocks have not stopped coming this season either. The club and committee has been pushed already these recent weeks but we’ve pulled through and as united as ever. Rugby Clubs exist for Rugby Players. It is the players who Saracens will always support to the best of our ability and do whatever we can to give them the opportunity for success on and off the pitch”. As well as Senior Mens rugby, Saracens have a growing and strengthening Ladies rugby team. In the regular season they train every Monday and Wednesday nights from 19:00 until 20:30. Any interested players or social members can contact the Saracens for more information. Level: World Rugby Level 3, Asia Rugby B-Panel & #1 on UAE Premiership Panel. I’ve obtained quite a few over the years. You can always tell where someone knows me from simply by which nickname they’re using: TD, TonyD, Smiley, T-Dog, T-Bone and Pastor. I dislike rude people (and idiots!). What’s been the funniest thing you’ve seen or heard on a rugby pitch? Whats been your most embarrassing moment during a game? Once I mistakenly pulled out the red card for repeated infringements, not understanding why the player was so distraught, until the opposition captain said “Reds a bit harsh Mr Ref”. Realising my mistake, I quickly apologised and changed it to a yellow card. If you could be one of the other UAE Refs, who would it be? Norman Drake, He’s forever on holiday! What would you like to achieve outside of refereeing rugby matches? I’d like to be a good husband and father. I used to play the guitar pretty well. Phuza Thursday, College (schoolboy) rugby derby days, the post match fines and meetings at Buffs and Old Selbonians. Teleportation, I spend so much time driving at the moment that it would make life a lot easier if I could just click my fingers and be where I needed to be in an instant, instead of just being stuck in the Dubai traffic. Who has the worst Dress sense out of the refs? Oh I’d be the last one to judge on that! Who do you like to listen to, to get you ready for a big match? Most commonly Coldplay and Tiësto but I like to change it up a lot. For the second consecutive season, we will be saying farewell to a UAE rugby club. A year to the day, the Dubai Wasps rugby club called it a day and now it’s the unfortunate turn for the Beaver Nomads who will be ending their chapter of competitive rugby. Rugby clubs are expensive business and rarely turnover a profit. It is the pure love of the sport that we share that keeps teams turning up each week. Unfortunately for the Beavers, who have been known for their sociable antics around Dubai, have seen key players depart the region for their respective countries. Not only that, but the club have lost their major sponsors in MMI and Claw BBQ, which has now forced the club into the red and unable to meet the Trade License qualifications of playing competitive Community rugby required by the UAERF. It was the only back in 2015/16 that the Beaver Nomads won the inarguable UAE Community League title and have finished close 3rd place in the following seasons. There is no doubt, that the Beavers have been a force to be reckoned with in the 15’s game and will still be a team to keep an eye on during the 7’s season. We wish them all the best and hope to see them again in the domestic league in the future. 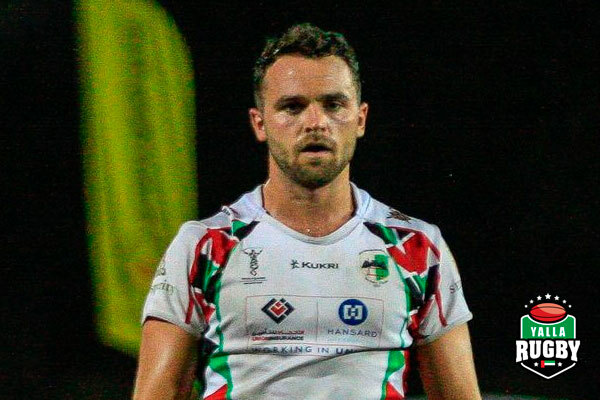 Abu Dhabi Harlequins fly half Luke Stevenson talks real ales, Vince McMahon and down time. Who do you like to listen to to get you ready for a big match? Whatever Murray Reason pulls out the bag, but if he’s not there then either some Oasis or Stereophonics. I really miss the simple stuff like real ale and proper pubs… and a decent club house! It would have to be Phil Abraham, for having the most seductive voice on the continent. 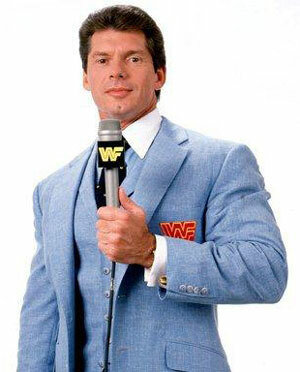 Definitely Andrew Powell (Kiwi), he thinks he’s Brad Pitt but wears a suit like Vince McMahon (below) from back in the 90’s. Heights, I’m not a fan. I did a bungee jump when I was in New Zealand and have never looked so pathetic. Who are the jokers at the Harlequins? Malcolm Greenslade, when he’s not searching eBay for a new Fishing Rod. he turns up occasionally, but when he does he’s painfully good value. Which team-mate would you most definitely not like to be stranded in the desert with? Jonathan Stannard – It’s just too painful to see him struggle with no signal for Tinder. What’s been the most embarrassing moment on the rugby pitch? There isn’t one particular moment that I can think of but pretty much anytime I miss an ‘easy’ kick (unfortunately there’s been a few). I’m trying to chop my way around the local golf course more at the moment, it’s not going well. While players across the UAE start their pre-season conditioning, the work behind the scenes for the new season preparations begins much earlier for club management. 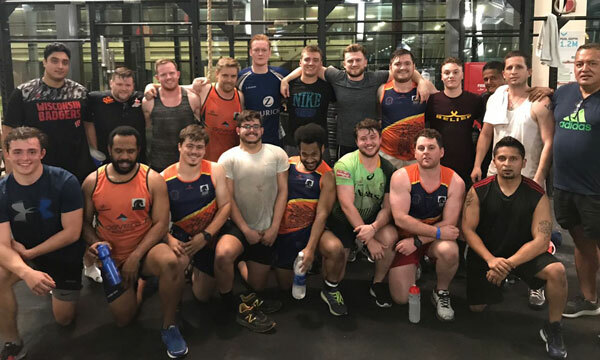 Local Dubai side, the Arabian Knights RFC leadership team have been hard at work throughout the offseason to showcase the club’s strength in what will be it’s 10th Anniversary year. Founded in 2008, the club is 600 members strong and offers rugby coaching for kids from the age of 5 to over senior rugby at 35+. After a season of disruption to the seniors’ setup last year, it is the Men’s rugby teams that has experienced a revival during the offseason in preparation for a competitive charge into 2018/19. Welcoming Ric Lambert to the 1st team coaching setup, concluding an agreement with Sports City-based FitRepublik, and appointing a Club Captain to strengthen the team’s leadership and infrastructure, the team is setting their sights firmly to the top half of the Conference table this coming season. While cardio work for the players began back in June, a sea of distinctive orange vests descended on Sports City’s FitRepublik for their first group session of strength and conditioning on Monday night, with the players taking full advantage of the club’s investment in making available world class facilities and trainers to their members and newcomers. “In the club’s 10th year, we’re all set to do the club and ourselves proud,” says Charlie Willis, team captain and Number 8. “While clubs endure player turnover every year, mostly to relocation, the interest from fresh blood for the 2018/19 season has been very encouraging,” he added. 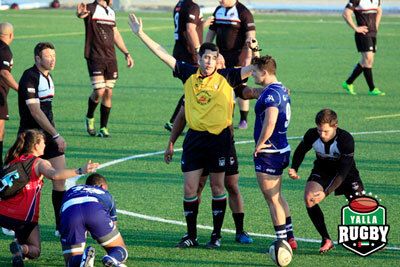 The Arabian Knights Mens and Vets teams are based at Kings School Al Barsha during the regular season. For preseason, they gather every Friday morning at 07:30 for an open beach session at Kite Beach, or twice a week at FitRepublik for the remainder of August. 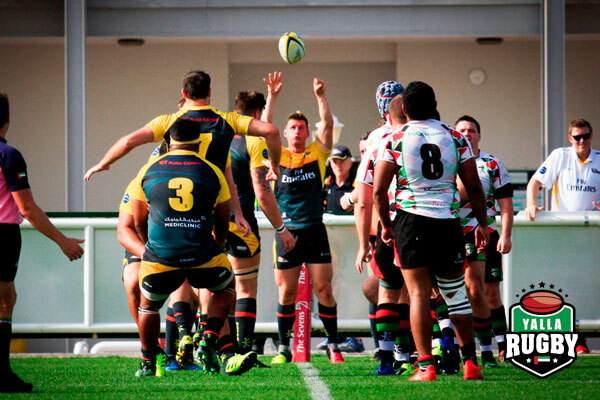 So you’re an Expat ready to find a local rugby club in Dubai, or other Emirates of the UAE? 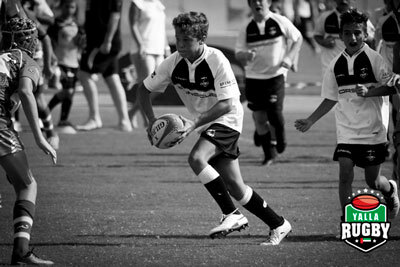 Here at Yalla Rugby we know first hand about finding a rugby club in Dubai. Becoming an expat and moving abroad to a foreign land can at first be a pretty daunting experience. You’re choosing to start a new life in a country unfamiliar to you, and whilst extremely rewarding, it can take a while to settle in and find your feet. Once you are settled however, it’s then time for you to find a sense of normality and to start living your life the way you want it to be lived. Rugby for example, is a universally spoken language that people all across the globe can understand. Playing rugby in Dubai not only gives you some beneficial exercise, it’s also challenging, and it teaches you discipline and various other life skills in the process. 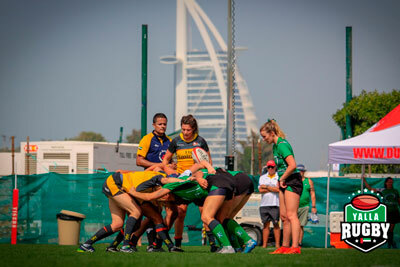 If you’re new to expat life in Dubai, enjoying living in the fantastic climes of the United Arab Emirates, you’ll know right away that rugby clubs in UAE are spread out everywhere, as it’s an incredibly popular sport in this part of the world. 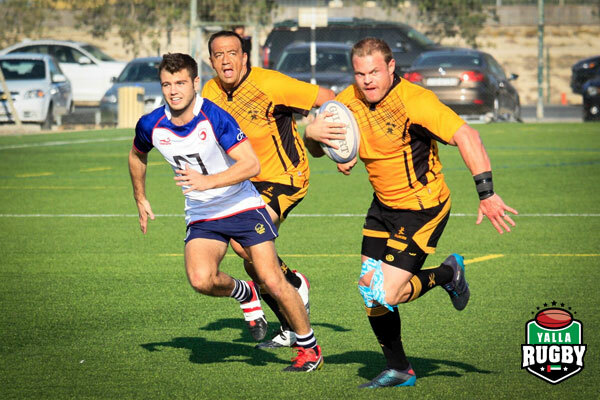 If you yourself happen to be an avid rugby fan, looking to play expat rugby in Dubai, you’ll need to be on the lookout for a club to play for. Finding a rugby club in an unfamiliar part of the world however, can be tricky, which is why we’ve compiled this handy article on how to find the ideal rugby team and club to support, so you can get those rugby boots back on! The UAE Rugby Federation is the national governing body here in the United Arab Emirates. 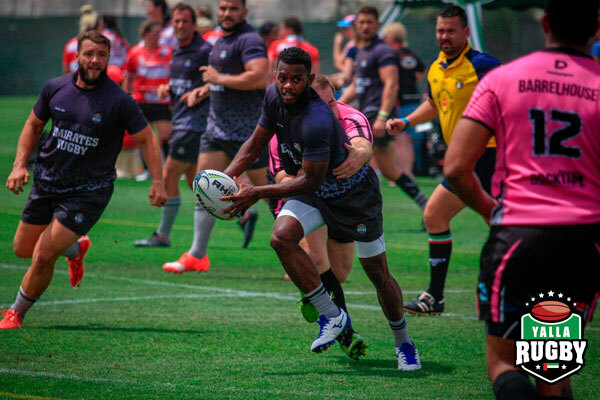 There are many different rugby clubs in Dubai, as well as numerous rugby teams and organisations with deep-rooted connections to the rugby world, so the clubs and teams are certainly out there, you just need to know how to find them. 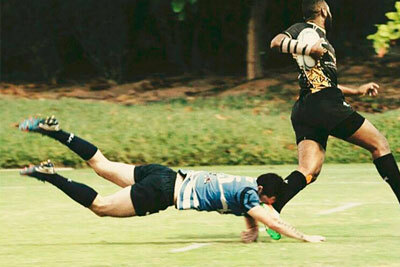 Check out our list of expat rugby clubs for a look at a list of local UAE rugby clubs. Looking at lists of this nature is ideal as we’ll give you a brief history of each club and the all important contact details for you to get in touch with to enquire about joining. 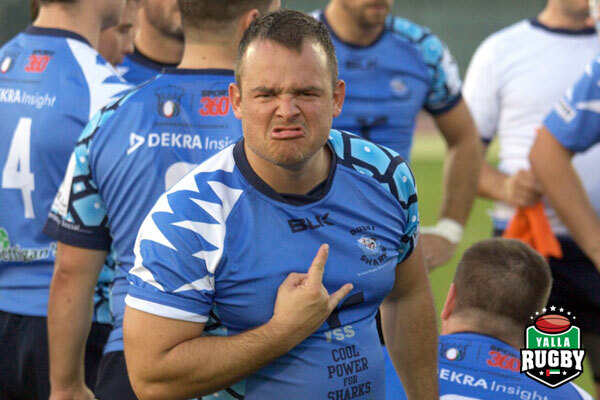 What Should I Expect When Playing Rugby In The UAE? If you’ve moved to the UAE from a much cooler part of the world, one of the first things that you will immediately notice is just how incredibly hot it is in the United Arab Emirates. For that reason, before you commit to any Dubai rugby club or team, first you will need to know what to expect. For example, playing rugby matches, and training for rugby, outdoors in intense heat is not to be taken lightly. Playing rugby and training in extreme heat is very difficult and very taxing, so it’s vital that you stay well hydrated at all times. Not only will you have to contend with the physical challenges thrown at you on the rugby pitch, you also have the burning hot sun to deal with. Even evening games are sometimes very hot and sweaty. As well as that, there is the language barrier to contend with. Another great tip for anybody looking to play UAE Expat rugby in Dubai, is to ask around for any recommendations/suggestions on clubs that may be looking for new players. Gyms are great places to begin your search as there is a big bodybuilding culture in the UAE, and if there’s one thing that rugby players are known for, it’s their huge size, strength, and their love of pumping iron in preparation of games. So with that new knowledge in mind, we wish you the best of luck when choosing a rugby club in Dubai and the UAE!!! This weekend the UAE National Sevens squad make their rugby sevens debut at the Queenstown Stadium in Singapore for the Asia Rugby Sevens Trophy 2018 which sees thirteen teams fight it out for the opportunity to gain promotion to the Asia Rugby Sevens Series in 2019. In their Pool B, the UAE Sevens Squad will face up against Jordon, Nepal and Indonesia. Congratulations to all selected (see full squad list below). All matches will be streamed live on the Asia Rugby Facebook page. A special mention goes out to Niko VolaVola, who plays for the Jebel Ali Dragons and also featured in our Yalla Rugby Select squad for the Barrelhouse 10s tournament which took place early in the year.